Congratulations to Lucas Mignogna, Colleen Sattler, née Matthews, and Martin Vorum who will be jointly taking over as our club’s “Head Sensei”. 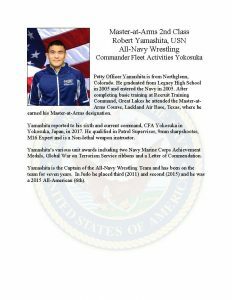 They will be taking over for sensei Warren Agena who is stepping aside after faithfully leading the club for the past 17 years. Although “retiring” from his position of head sensei, sensei Warren will remain on the board of Northglenn Judo Club. 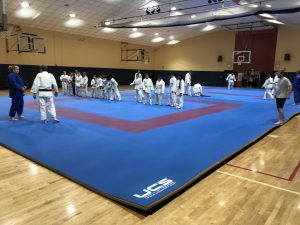 We are selling two(2) of our competition area mats. The mats are manufactured by UCS, and are 42′ x 42′ square, and 2″ thick. 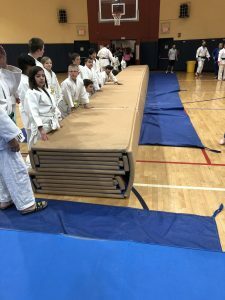 Folded, each mat measures in height 23″, width 46″, and length 42 feet. 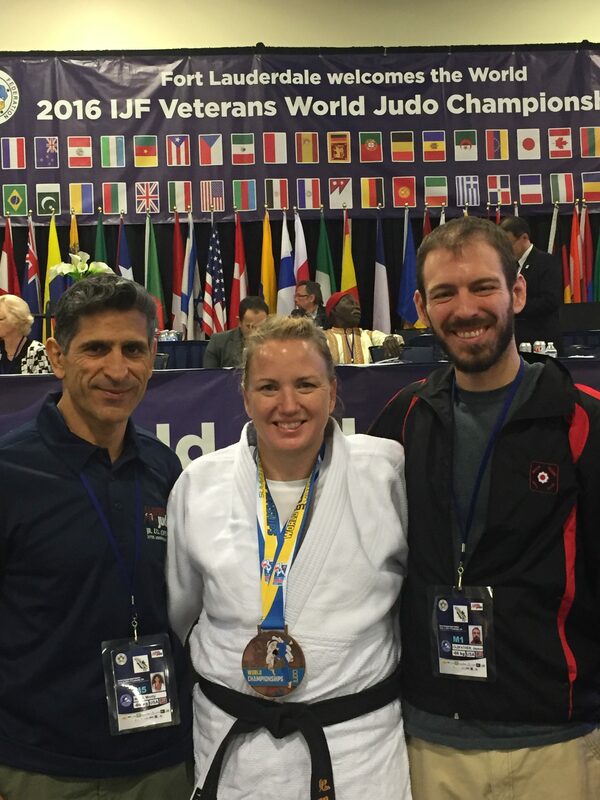 Tracy Crawford-Hangley, Jayson Oldfather, and Monty Mani competed for Northglenn Judo Club at the 2016 IJF Veterans World Championship in Fort Lauderdale, Florida. 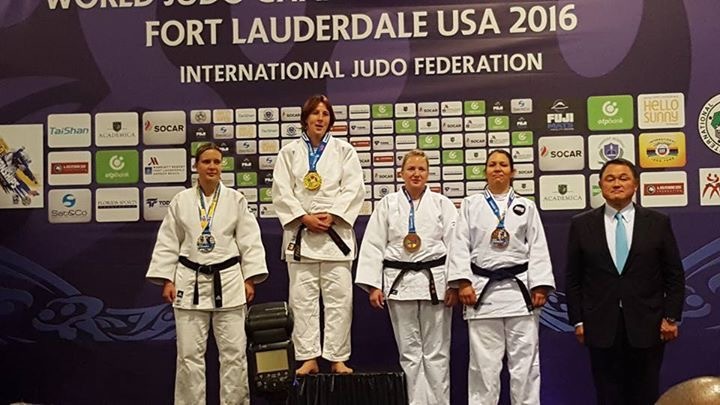 Congratulations to Tracy on her Bronze Medal performance. 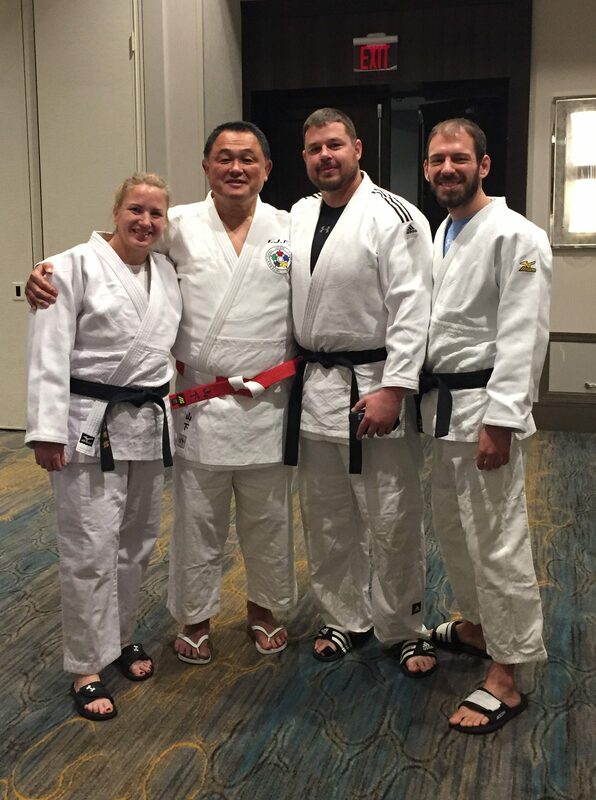 Check out the pictures with the great Yasuhiro Yamashita, one of the most successful judoka of all time. Click on this link to watch a video compilation of the 2016 Japan Trip taken by our high school students. They practiced at the Kodokan, Takanawa High School, and SUDO Dojo. Thanks to everyone who helped make the trip possible. Your financial contributions were greatly appreciated and put to maximum use. John Gage sensei from the Japanese Martial Arts Center (JMAC) in Ann Arbor, Michigan and sensei Warren Agena have worked to establish a “sister dojo” relationship between our two clubs. Northglenn Judo Club members interested in practicing judo while traveling to the Ann Arbor region are encouraged to visit the JMAC. 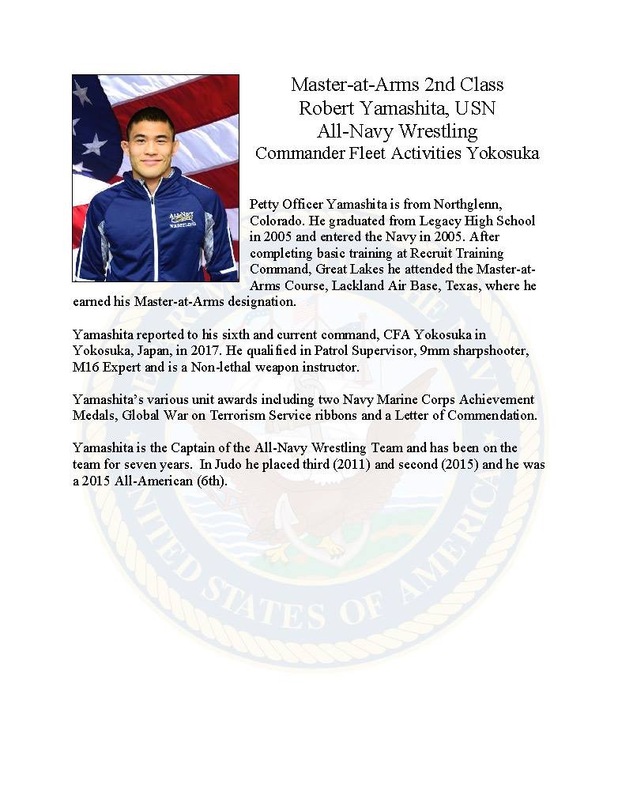 For details on location and practice times, visit the JMAC website at: http://japanesemartialartscenter.com/ Correspondingly, all members from the JMAC visiting the Denver area are more than welcome to practice at our dojo. Please download the WAIVER AND RELEASE OF LIABILITY AND AGREEMENT TO PARTICIPATE FORM below. Click here to complete your online membership. It is with a profound sadness that we announce that Dr. Dennis “Doc” McGuire has lost his battle with cancer and the West Nile virus. 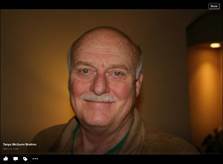 Northglenn Judo Club has lost a great leader and friend. Doc was always positive and shared his optimism and wisdom without hesitation. 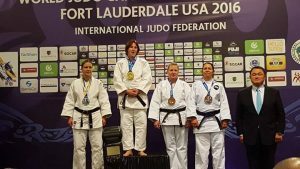 Doc will be missed by everyone at our club, the judo community, and many others whose lives he touched.